Tags: Al Gore, Global Warming, Green Environmentalism, Political Cartoons, Record Snowfall, William Warren To share or post to your site, click on "Post Link". Please mention / link to the ARRA News Service. Thanks! "It simply is not credible that the unemployment rate could drop by .4% with only 36,000 jobs created. This supposed drop is at least partially a result of the Obama Administration changing the methodology for determining who was in the workforce. This change in methodology coupled with a massive drop in the top line unemployment rate leaves the data open to the perception that they may have been politically manipulated. "However, taking the numbers at face value, the Obama Administration cannot avoid the harsh reality that their economic policies have resulted in almost one million people leaving the workforce in the past two months alone. The January reported decline of 504,000 is a startling indictment of the failure of the past two years, as Americans have voted with their feet to leave the workforce. "The bottom line is that our nation needs to create more than 100,000 jobs a month for sustained economic growth, and this report reveals that the main driver of the unemployment rate decline is that Americans are giving up on the American dream of getting a job and making a better life for their families. "In the past year, more than two million Americans have left the labor force with the labor participation rate dropping from 64.8% to 64.2%. The labor participation rate when Obama took office in January 2009 stood at 65.5% when Obama took office in January 2009. "This is a devastating indictment of the Obama economic policy, and if not reversed will have severe implications for our nation's economic future." Tags: unemployment, jobs, U.S., economy, Americans for Limited Government To share or post to your site, click on "Post Link". Please mention / link to the ARRA News Service. Thanks! Yesterday, the Senate voted 55-42 to kill an amendment from Sen. Rand Paul (R-KY) that would have restricted funding for projects subject to the Davis-Bacon Act. The Senate also voted 96-1 to make it a federal offense to point laser pointers at aircraft. Senate Majority Leader Harry Reid has said he wants to the FAA Reauthorization bill, S. 223, the week of Feb. 14th. Over the course of this week, Democrats in have made it quite clear that they still have not heard the message Americans sent Washington in November to reduce spending, debt, and the size of government. In contrast to Republicans, who have been working to find ways to reduce spending, lower the deficit, and repeal the bloated, unpopular health care takeover, Democrats have instead looked for every way to dig in to protect the massive spending increases they instituted over the last two years. ABC News reports today, “As Congress prepares to make deep spending cuts, an army of lobbyists is gearing up to fight back. In an e-mail obtained by ABC News, a top staffer for the key Senate Appropriations subcommittee called for a meeting of lobbyists and interest groups that would be affected by expected cuts to the Labor and Heath and Human Services budget. The Jan. 24 meeting was attended by approximately 400 people, sources told ABC, and served as a ‘call to arms’ for those determined to fight Republican budget cuts. In other words, before Republicans even presented any proposal to cut spending, Democrats have already called on their lobbyist friends to coordinate protecting their piece of the special interest spending pie. Tags: Washington, D.C., US House, US Senate, Dems, Lobbyists, Massive Spending, GOP Cuts To share or post to your site, click on "Post Link". Please mention / link to the ARRA News Service. Thanks! By Dr. JD Foster: The massive federal budget deficit is unsustainable today because of out-of-control spending. Consequently, the federal government is about to run up against its statutorily imposed debt limit. Fortunately, Congress has options, and it has time to consider them carefully. Tags: Congress, debt limit, options, The Heritage Foundation To share or post to your site, click on "Post Link". Please mention / link to the ARRA News Service. Thanks! The Senate resumed consideration of S. 223, the FAA Reauthorization bill. At 1 PM, the Senate will for 2 hours for Senators to pay tribute to President Ronald Reagan’s 100th birthday. Votes on amendments to the FAA bill are possible later today. Yesterday, 51 Senate Democrats voted to preserve President Obama’s deeply flawed, unpopular health care law. All 47 Republicans voted to repeal it. However, Democrats finally embraced repeal of a piece of the law that was going to bury small businesses in paperwork, the 1099 reporting requirement. After a year of voting against repealing that requirement, Democrats took Sen. Mike Johanns’ (R-NE) proposal and used it for their own amendment, which passed 81-17. Johanns did such an outstanding job raising awareness about the 1099 requirement that Democrats took the idea and are now claiming it as their own. However, prior to that vote, an amendment from Sen. Carl Levin (D-MI) to do the same thing while raising taxes on oil and gas companies at a time of rising gasoline prices was rejected by a vote of 44-54. Yesterday, Senate Republicans made good on their promise to force a vote on repealing President Obama’s massive, unpopular health care spending law. Unfortunately, every Senate Democrat present for the vote, 51 in total, voted against repeal. All 47 Republicans voted to scrap the 2,700-page monstrosity and start over. 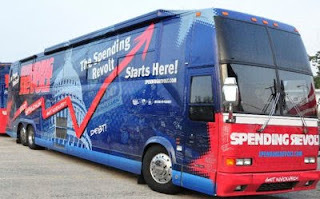 An email from Speaker Bohner's office this morning signaled the House, Republican leaders are willing to "slash domestic agency spending by almost 20 percent in their drive to bring it back to levels in place before President Barack Obama took office." House Budget Committee Chairman Paul Ryan, House Budget Chair says this is "the first salvo in a battle with Obama as they seek to keep a campaign promise to cut $100 billion from domestic programs." The GOP promise was to reduce spending for domestic agencies whose budgets are set by Congress each year back to levels in place under the last budget approved by former President George W. Bush. The AP responded this morning stating: "The hard-charging GOP freshman class may have some second thoughts when confronted with big cuts . . ."
Tags: Washington, D.C., US House, US Senate, Obamacare, government healthcare, repeal the bill, budgets, 1099 Reform To share or post to your site, click on "Post Link". Please mention / link to the ARRA News Service. Thanks! Tags: Bob Parks, commentary, Black History Month, history, blacks, democrats, republicans To share or post to your site, click on "Post Link". Please mention / link to the ARRA News Service. Thanks! 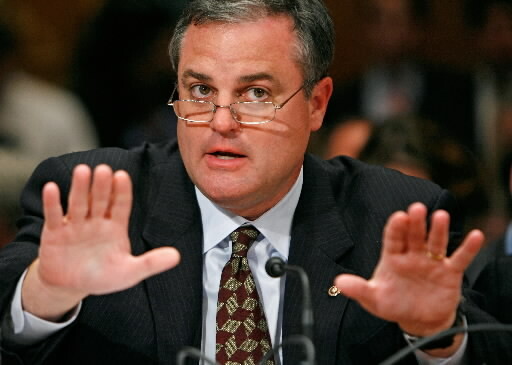 Bill Smith, Editor: Arkansas Senator Mark Pryor joined other liberal democrats in voting against repealing the federal health care law (Obamacare) which has been declared unconstitutional and void. The vote was on amendment offered to the FAA Re-authorization bill by Sen. Mitch McConnell (R-KY) which was identical to the text of the House-passed bill (H.R. 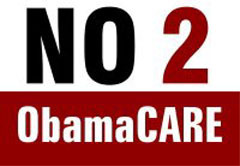 2) to repeal the Democrats’ health care law. At last count the vote was 47 Yes and 51 No on the amendment. Thank you for contacting me regarding health care reform. I appreciate hearing from you. On March 23, 2010, President Obama signed the Patient Protection and Affordable Care Act (PPACA) into law. Since being signed into law, PPACA has helped over 43,000 Arkansas seniors who fall in the "donut hole" afford their medicines and provided tax credits to small businesses in Arkansas that offer health coverage to employees. It has also prohibited insurance companies from placing lifetime limits on coverage, ensuring that 1.4 million Arkansans who have private insurance are not abandoned when they need health coverage the most. While the passage of health care reform was a step in the right direction for making health care more affordable and expanding access to health care in rural America, there is still work to be done. I will continue to consider changes and improvements to PPACA as implementation moves forward. Please know that I will continue to work to ensure that health coverage is available to and affordable for all Americans. Again, thank you for contacting me. I value your input. Please do not hesitate to contact me or my office regarding this or any other matter of concern to you. Tags: Arkansas, Senator, Mark Pryor, votes NO, U.S. Senate, repeal of healthcare, email, Bill Smith, Mitch McConnell To share or post to your site, click on "Post Link". Please mention / link to the ARRA News Service. Thanks! Tags: federal healthcare, democrats, keeping your plans, false claims To share or post to your site, click on "Post Link". Please mention / link to the ARRA News Service. Thanks! T he Senate reconvened at 10 AM and Sen. Rand Paul’s (R-KY) gave his first speech on the Senate floor. Following that speech, the Senate resumed consideration of S. 223, the FAA Reauthorization bill. Votes are scheduled later today on amendments offered to the bill by Sen. Mitch McConnell (R-KY) and Sen. Debbie Stabenow (D-MI). The McConnell amendment is identical to the text of the House-passed bill (H.R. 2) to repeal the Democrats’ health care law. The Stabenow amendment is almost exactly the amendment that Sen. Mike Johanns (R-NE) has been championing for over a year, to repeal the onerous 1099 reporting requirements on businesses imposed by the health care law. Meanwhile, the health law continues to have other negative consequences on ordinary Americans. According to the Denver Business Journal, “A spokeswoman for Aetna confirmed Monday that the insurer will no longer sell new individual-market health insurance policies in Colorado and will terminate current policies held by state residents no later than July 31, 2012. Leader McConnell said this morning, “Later today, as I noted yesterday, the Senate will have a rare opportunity. For those who’ve supported the health spending bill in the past, it’s an opportunity to revisit your first vote. To listen to those who have desperately been trying to get your attention. To say, yes, maybe my vote for this bill was a mistake, and that we can do better. To listen to the small business owners who’ve been contacting our offices every day and telling us all the ways this bill keeps them from creating the jobs we need. To show that you’ve actually noticed that most Americans don’t want this bill. To show that you’re aware more people want it repealed than don’t. To show that you’ve noticed the town halls in your states. To show that you’ve noticed the opposition to this bill continues to grow. To show that you’ve noticed the federal court rulings that said this bill is unconstitutional at its core. It’s not every day that you can get a second chance on a big decision after you know all the facts. This is that second chance.” Hopefully, Democrats will take advantage of their opportunity and vote with Republicans to take the first step to repeal and replace this seriously flawed, unpopular law. Tags: Washington, D.C., US House, US Senate, Obamacare, government healthcare, repeal the bill, To share or post to your site, click on "Post Link". Please mention / link to the ARRA News Service. Thanks! A lower-than-expected amount of tax refunds and a boost in individual income tax collections helped keep Arkansas' revenues above last year's figures and expectations, the state finance office said Wednesday. The Arkansas Department of Finance and Administration [DFA] said that the state's net available revenues in January totaled $459.8 million, which were $19.7 million above last year and $4.4 million above forecast. The state's gross general revenues totaled $529.9 million, which was above last year by $4.6 million but below forecast by $15.2 million, but the drop in individual and corporate tax refunds kept the state's coffers healthy, the department said. I think it shows that we're still growing. This whole recovery for us and everyone in the nation has been rocky. There's not been a smooth increase or a surge upward, but I think we're still on a good trajectory, if you will, of getting out of the recession and getting the economy back on track. Director Weiss, a typical bureaucrat, doesn't see any room for future tax cuts because he obviously can't imagine government cutting the size of government. 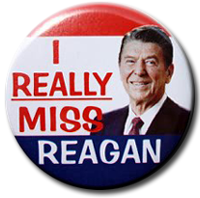 Fortunately, the republicans do! Weiss of course is supporting Gov. Mike Beebe proposed roll back of another half-cent cut in the grocery tax which supposedly according to the bureaucrats would cost about $15 million in general revenue. It continues to amaze most of "We the People" that government has the audacity to identify as a "cost" both their spending and reductions in taxation. This is perverted application of modern government accounting that was not an accepted government accounting practice before the 1971 when I completed a business degree with 29 credit hours of accounting. Republican legislators are seeking to roll back spending increases in Beebe's proposed $4.6 billion budget for the coming year, including $23 million for a cost-of-living increase for state workers, to pay for other proposed tax cuts including reductions in the used car and capital gains taxes. Net available revenues for the current fiscal year (July 1, 2010 June 30, 2011), total $2.7 billion and are $7.9 million above forecast. Individual income tax collection as of January 2011 totaled $311 million and was $28.9 million above last year and $5.9 million more than originally forecast. Sales tax collections for January 2011 totaled $173.9 million which was $5.5 million below last year and $9 million below forecast. Corporate income tax collections totaled $11.6 million which was $21.1 million below last year and $11 million below forecast. There are also numerous other "tradition and practices" in Arkansas that need to cease. These "traditions and practices" reach into almost all branches of Arkansas government, agencies, and government. Fleecing of money from people needs to be stopped even if it appears inconsequential. Spending other people's money (OPM) is always consequential. As promised before, there will be no free passes for "traditions and practices" costing Arkansas taxpayers. Numbers don't lie, but unfortunately liars, bureaucrats and politicians use numbers to support lies and their deceptions. It is time for Arkansans, "We The People", to demand that Gov. Mike Beebe as the "head of government" provide ways to cut (not increase) government expenses by 20% in the two years. We should expect for him to locate and eliminate all gravy "tradition and practice" items / issues but he must find meaningful cuts in spending expenses NOT increase in revenue. And, we must demand that all the other Constitutional Officers and independent agencies cooperate in reducing "spending" cost. And if we have revenue surpluses, "cut taxes" or returned the surplus to the citizens and corporations that paid those taxes. If these elected officials will not cooperate, they have failed in their duties. The legislature should aid then by unilaterally cutting their budgets. And for those Democrats, or even Republicans, in the legislature do not cooperate, expect defeat or in 21 months in the next election. Tags: Arkansas, government spending, taxes, DFA, plantation politics, traditions, practices, waste, taxpayers money, Department of Finance and Administration, commissions To share or post to your site, click on "Post Link". Please mention / link to the ARRA News Service. Thanks! 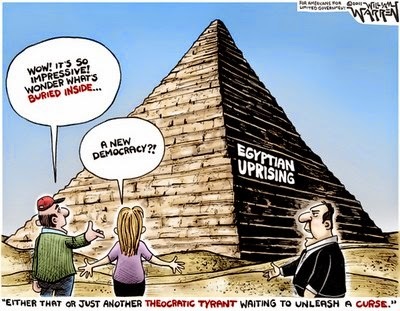 With the people of Egypt (Arab Republic of Egypt) calling out for the removal of their present government leadership, they face an age old issue - what will be the outcome to their desire. Egypt history is long and eventful. It has had kings, queens, dictators, presidents and rule by foreign countries. And according to Christain history, it was the temporary home of the King of Kings. Egypt's current Constitution is less than thirty years old. Few Egyptians under the age of 40 recall life before the present constitution. Let's pray for the peaceful change in government leadership. The military to date has shown restraint by displaying their power but not forcefully dispersing the crowds. Unfortunately, citizens have been denied communications via the Internet by the government. The following cartoon by William Warren reflects two potential outcomes. However, the outcomes are not as far apart as imagined. History shows that many pursuits of a democracy yielded repressive forms of government. The citizens of Egypt presently have a Republic and they have expressed their desire for the replacement of their leaders who have "stayed too long" and abused their positions. Let's hope they will not allow anarchists to destroy their message and that they will seek leadership at the ballot box. P.S., President Obama needs to stop commenting on what the people or the government leaders of of Egypt should do or should not do. He is not the ruler of the world! However, Obama should focus need to protect Americans and U.S. interests flowing through the Suez canal. Mr. President focus on your responsibilities and do not be distracted with the internal situation in Egypt. Egypt has been around far longer than the memory of the United States. They do not need your opinions. Tags: Egypt, Mubarak, Political Cartoons, William Warren, democracy, theocrat, tyrant, republic, government, Barack Obama, United States, To share or post to your site, click on "Post Link". Please mention / link to the ARRA News Service. Thanks! Curtis Coleman, Contributing Author: On Wednesday of this week, eight Arkansas state senators will have a unique opportunity to demonstrate their fidelity to their oath of office by affirming the supremacies of the Arkansas and U. S. Constitutions. Arkansas Senate Bill 97, “an act to protect rights and privileges granted under The United States Constitution and The Arkansas Constitution,” will be considered by the Senate Judiciary Committee under a special order of business at 11:00 a.m. in Room 171 of the State Capitol in Little Rock. (The Committee will begin consideration of its regular agenda starting at 10:00 a.m.) S.B. 97 is sponsored by Senator Cecile Bledsoe (R-Rogers) and 30 other state senators and representatives (listed at the end of this article). Contact information for the members of the Senate Committee on Judiciary is listed at the end of this article. While it is extraordinarily difficult to imagine why any elected representative of the people of Arkansas might oppose this profoundly simple and equally profound affirmation of the Arkansas and U.S. Constitutions, the bill is expected to face opposition from some members of the Committee. Opponents are expected to propose (a) that the bill has a hidden agenda and is a gimmick to insinuate that some Arkansas courts or groups are currently not following the Arkansas Constitution, (b) the bill targets specific groups or religions and (c) Arkansas companies which are or plan to do business in other countries would be adversely affected. All of these concerns are erroneous and unfounded. As the co-founder and former President/CEO of an Arkansas company doing business on four continents, I can affirm that S.B. 97 will have either no affect or will strengthen the position of Arkansas-based companies doing business with companies and/or customers in other countries. Nor does the proposed legislation “target” any specific group or religion. If this important legislation is adopted, no Arkansans will be limited in the practice of their religion as long as their practices do not conflict with the Arkansas Constitution or the United States Constitution. The sponsors of the bill insist that S.B. 97 is simply but importantly a pre-emptive affirmation of the supremacy of the Arkansas and U. S. Constitutions. 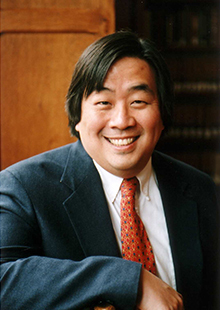 Consider Harold Koh, the Department of State’s top lawyer. Koh is “the face of American international law around the world,” said Steven Gross, legal expert and fellow at the Heritage Foundation. A former Yale Law School Dean, Koh represents a wide variety of issues wildly out-of-step with the values and beliefs of Arkansans. He is an outspoken advocate for the belief that American justices should take international law into account when interpreting the United States Constitution. Under this philosophy, laws made by international organizations – even if they are rejected by Congress – can supersede American sovereignty. ,” Koh effectively sweeps aside the Second Amendment’s guarantee of the right to bear arms by arguing for a “global regulatory” scheme to outlaw firearms by using international law to trump American gun rights. Without question, the supremacy and sovereignty of the U.S. Constitution – and, by extension, the Arkansas Constitution – are under increasing attack. While the sponsors of Arkansas S.B. 97 correctly maintain the bill is needed because foreign laws are being used already in other states, primarily in domestic arbitration, the scope and extent of the intrusion of international and foreign laws on America’s judicial system has raised broad and significant concern among experienced statesmen and tenured jurists alike. In a speech entitled “The Coming War on Sovereignty” given at Stanford University in April 2009, former U.S. Ambassador to the United Nations John Bolton sharply criticized the idea of allowing global governance to usurp the United States’ interests. According to The Stanford Review, Bolton defined global governance as, “[an] oblique way of saying, you have too much control over your own government. You really need to give a little bit of that up to other institutions or other countries. [W]e have global problems and we need global solutions.” He argued passionately against allowing organizations like the UN or NATO to control US foreign policy. Bolton’s primary concern was the United States’ ability to use military force. “The Constitution trumps international law. If you look for a source of authority, you have to follow our own Constitutional procedures on the use of force,” Bolton argued. “Because democratic debates in constitutional systems like ours are so unsatisfying and often so unproductive for America’s statists, they have, in essence, launched an international power play to move outside of our legal systems. 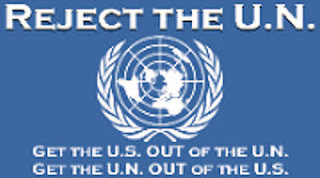 They find much greater prospects for success in international forums like the United Nations than in the U.S. Congress. 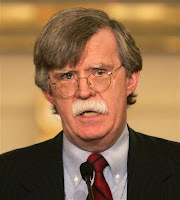 Hence, the role and limits of international law, determining what is legally binding for our international conduct and domestic policy, will be a critical area of debate in the coming years.” Bolton maintains. Curtis Coleman is the President of The Curtis Coleman Institute for Constitutional Policy and contributing author to the& ARRA News Service. Tags: Arkansas, SB 97, State Sovereignty, U.S., U.S. Constitution, Arkansas Constitution. Curtis Coleman To share or post to your site, click on "Post Link". Please mention / link to the ARRA News Service. Thanks! by William Warren: EPA robbing Oil & Gas Companies of their profits and jobs via regulations. Don’t Subsidize Amtrak, Just Let the Free Market Work! U.S. taxpayers are forced to fork over more than a billion and a half dollars a year to subsidize Amtrak which would not exist under its current model otherwise. Propping up this zombie business is ludicrous, especially in a time of fiscal dire straits. By Adam Bitely: As the new Republican Congress debates where it will cut back spending, Amtrak is one place they could start with. If there is any example of ludicrous, wasteful government spending, Amtrak is definitely the place to look at. To begin with, Amtrak receives most of its operational funding from the taxpayers. Cutting the subsidy and government grants to Amtrak would save over a billion dollars a year. Of course, ending a subsidy is more simply said than done. Tags: EPA, Oil, Gas, Industry, Political Cartoons, William Warren, Gas Prices, Adam Bitely, Amtrak, subsidies, To share or post to your site, click on "Post Link". Please mention / link to the ARRA News Service. Thanks! The Senate began consideration of S. 223, the FAA Reauthorization bill. If amendments are offered, votes are possible on them today. As we reported yesterday, Federal Judge Roger Vinson has just released his ruling in a case brought by 26 states. He ruled that the health care reform bill signed into law by President Barack Obama in March is unconstitutional. In fact, he ruled the entire Act void. What part of "void" will the Obama Administration seek to avoid (pun intended)? The Obama Administration is expected to proceed on healthcare by dragging its feet and then appealing the ruling. McConnell is moving today to force the Senate to act on repealing the job-destroying health care law. According to Republican sources, he plans today to offer the same proposal, which has already passed the House by a wide margin, as an amendment to the Federal Aviation Administration bill that is set for floor consideration, according to Republican sources. The only question is: will Majority Leader Harry Reid allow a vote? 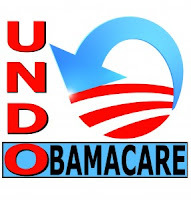 View comments supporting the ruling on the Unconstitutionality of "ObamaCare." Tags: Washington, D.C., US House, US Senate, Obamacare, government healthcare, repeal the bill, unconstitutional, mandate, To share or post to your site, click on "Post Link". Please mention / link to the ARRA News Service. Thanks! Tags: Democrats, lost jobs, jobs, credibility, Harry Reid, Nancy Pelosi, Joe Biden, Chuck Schumer, Patty Murray To share or post to your site, click on "Post Link". Please mention / link to the ARRA News Service. Thanks! Tags: Federal healthcare law, Obamacare, Judges ruling, unconstitutional, responses, US Senate, US House, Arkansas, republicans, Gary Bauer, Bill Wilson, Lt Gov. Mark Darr, RPA, Tim Griffin. House Speaker, John Boehner, Mitch McConnell, To share or post to your site, click on "Post Link". Please mention / link to the ARRA News Service. Thanks! "... I must reluctantly conclude that Congress exceeded the bounds of its authority in passing the Act with the individual mandate. That is not to say, of course, that Congress is without power to address the problems and inequities in our health care system. The health care market is more than one sixth of the national economy, and without doubt Congress has the power to reform and regulate this market. That has not been disputed in this case. The principal dispute has been about how Congress chose to exercise that power here. The judge ruled the entire Act void. What part of "void" will the Obama Administration seek to avoid (pun intended)? 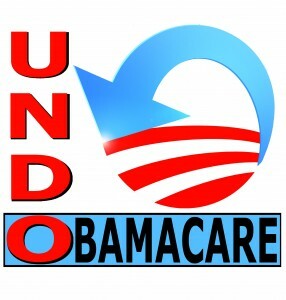 The Obama Administration is expected to proceed on healthcare by dragging its feet and then appealing the ruling. In another federal case brought by VA, the judge also ruled the mandate to buy insurance as unconstitutional but considered the portion mandating the purchase of healthcare insurance as severable. Eventually, this issue is expected to come before the Supreme Court as it is doubtful that the Democrat Leadership which created this monstrosity will do the right thing and support actions to Repeal The Bill labeled by the people as Obamacare. The Senate will began late today at 2 PM . Senate Majority Leader Harry Reid says he’d like to take up the FAA reauthorization bill, S. 223. No votes are scheduled for today. Following Friday’s troubling news from the Congressional Budget Office that this year’s deficit will approach a staggering $1.5 trillion, The Washington Post editorialized over the weekend, “In his State of the Union address Tuesday night, President Obama failed to present a credible plan for long-term debt reduction. It’s no secret that we think he made a big mistake. If America can’t get a handle on its finances, everything else is at risk: military strength, the safety net for the poor, the ability to invest for future economic growth. But now that the president has punted, is there any conceivable path toward fiscal sanity?” The editors urged Obama to show some “presidential leadership” on the debt issues. But a freeze doesn’t actually reduce the size of government. On the contrary, it locks in the unsustainable levels of spending from the last two years. Americans sent a clear message to Washington in November to stop spending so much of their money and reduce the size of government. Will President Obama commit to a serious plan to do those things, or will he instead look to freeze spending at the huge levels of the last two years that have led to such massive deficits?